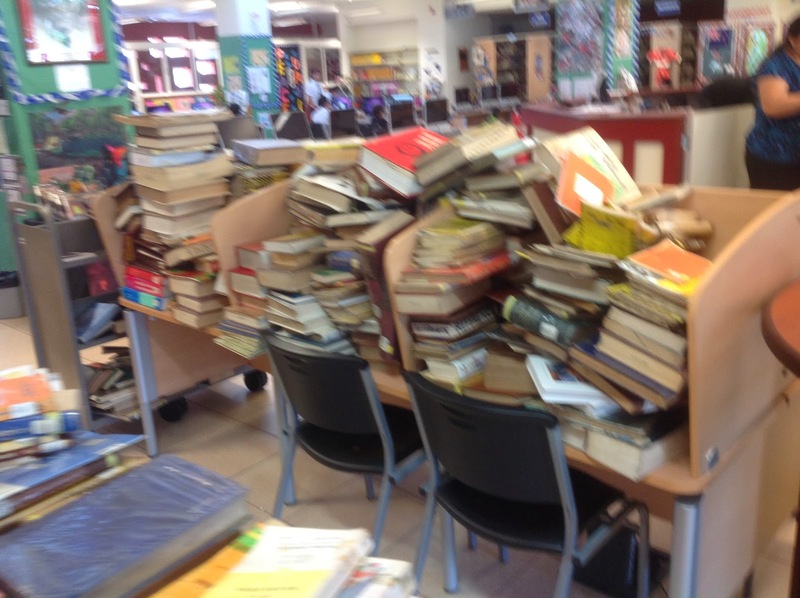 Learning At the LRC: Mega Weeding Rampage! 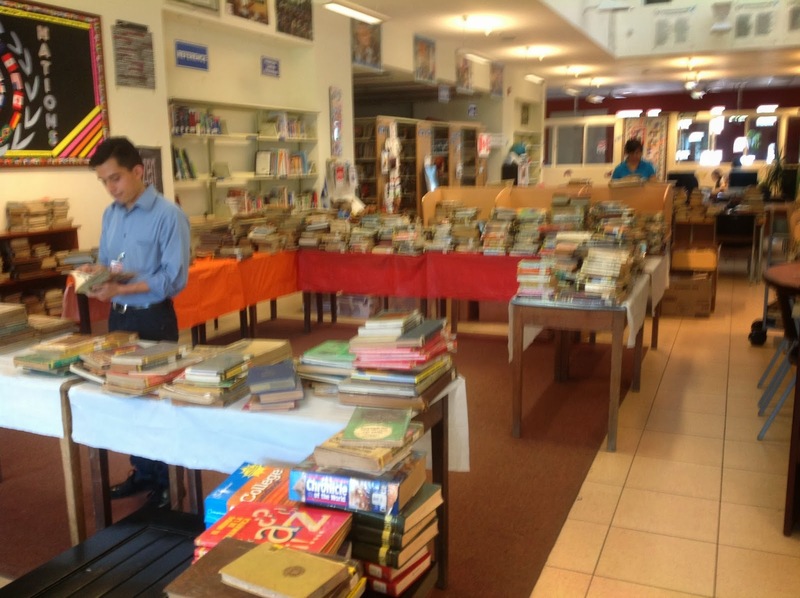 Every year we weed old, out of date, musty, dusty books out of the collections. Let's face it they are not being read for a reason. 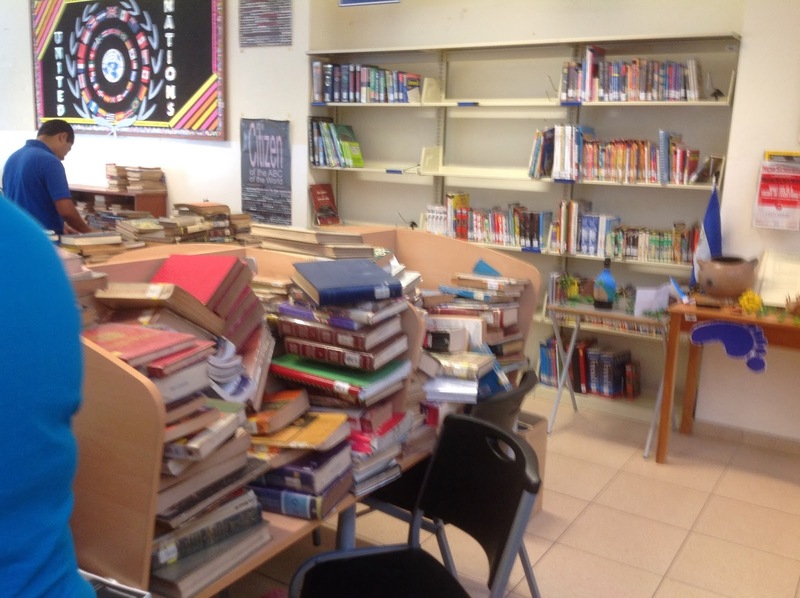 Depleting the shelves in this way sounds harsh but removing books that are no longer relevant or in conditions to be read without rubber gloves, is good practice for a school library. 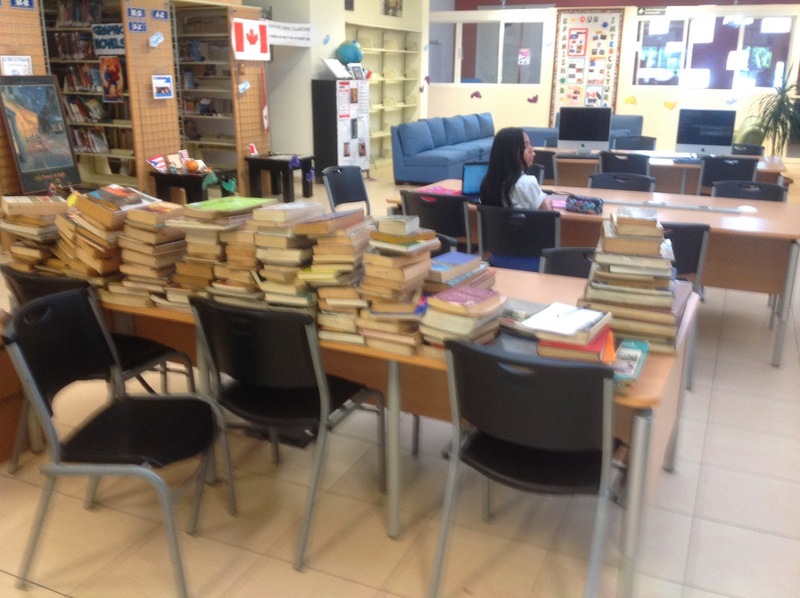 It makes room for new, interesting titles but also makes it easier for students to identify the hidden gems, as they are no longer buried away on the shelves. 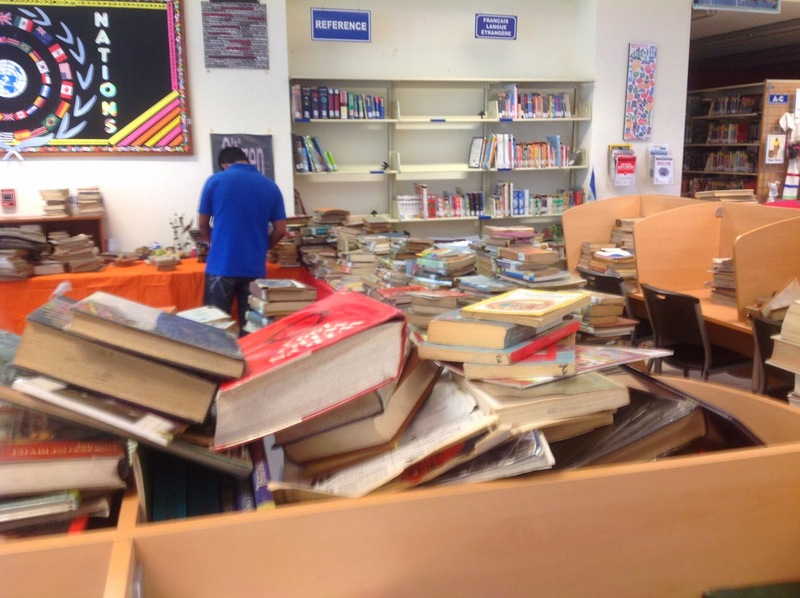 It gives the library staff a chance to refocus book purchases and build important, relevant collections for the community, some of which will be in print, others digital. This week we have been on a mega weeding rampage and spending a great many hours amidst the dusty yellowed pages. 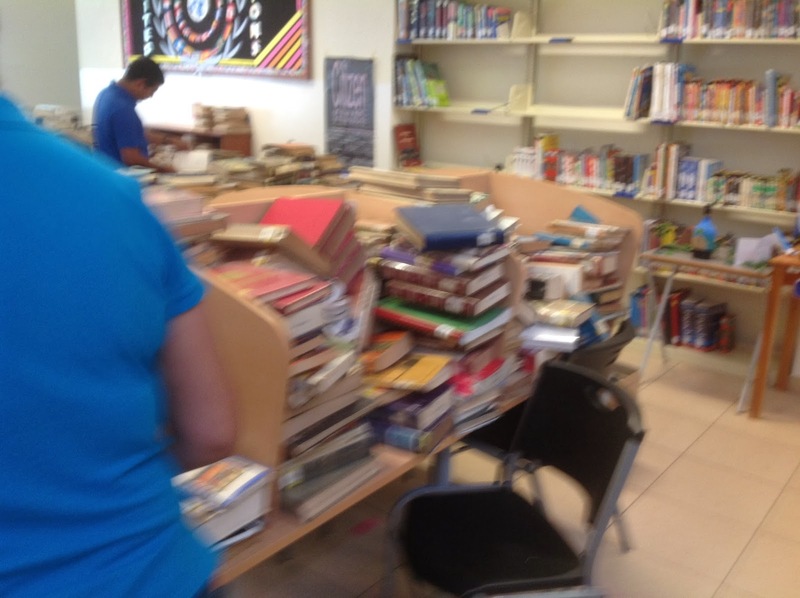 We have now completed our mission and successfully removed many hundreds of out of date, non fiction books from the shelves. Yes our shelves are a lot emptier, but they now contain relevant, up to date dust free non fiction editions. 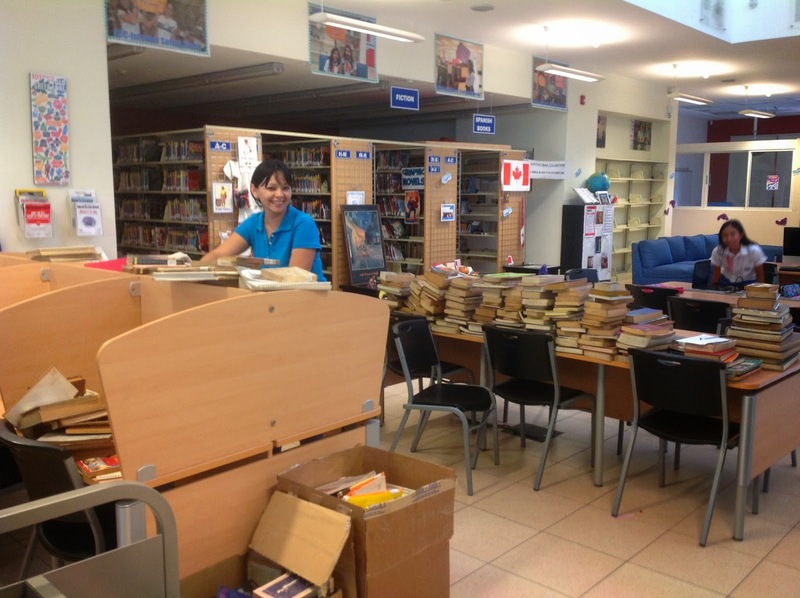 We can now begin the job of restocking with relevant titles, that meet the needs of our students and teachers. Not everything is going out the door. While weeding the shelves we discovered a few very interesting titles that will remain in the library as examples of very old literature. These titles date back to the late 1800s and early 1900s. They will go on display. We have also pulled a great many "cool" non fiction books that have been ordered in over the last few years, these are the gems that were hidden away and are now out in the open. 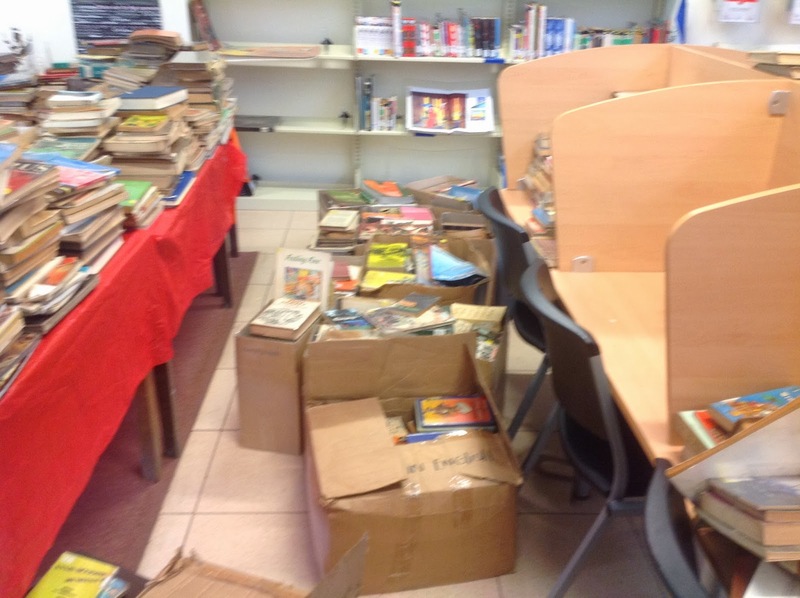 They are going into a special "Cool Non Fiction" Display for students, which we hope will promote them and get them into the students' hands. 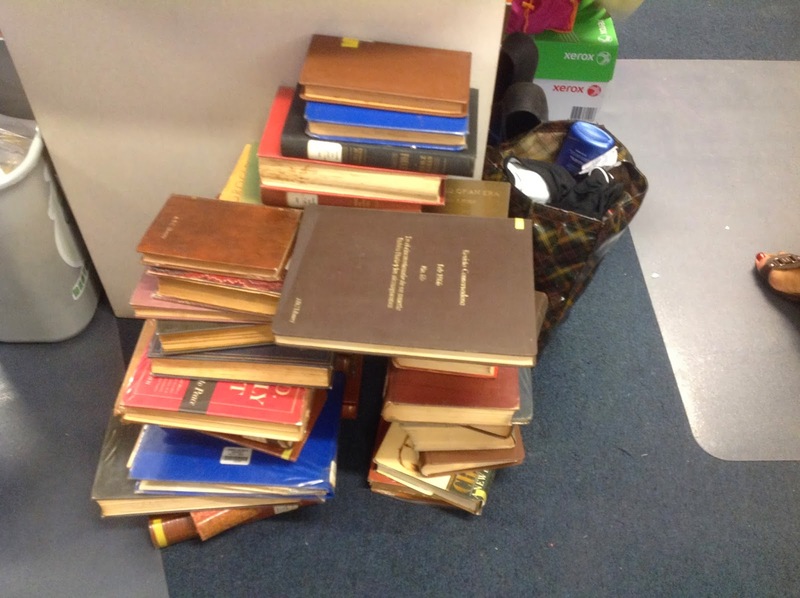 Here are some pictures of our piles of discards.